In some cases, if tensional stresses change direction, a new set of grabens may form at an angle to the first ones. 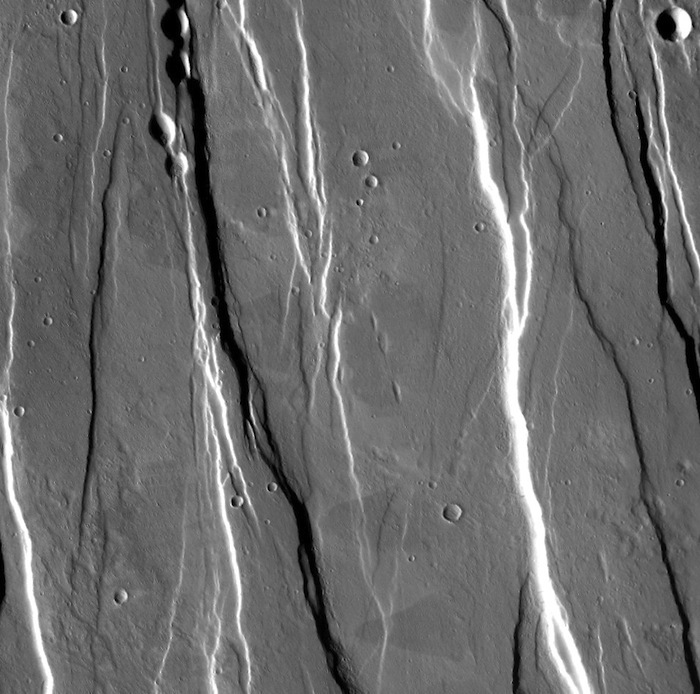 Close examination of images helps scientists determine which graben set is older. They look for which faults cut across which grabens, trying to determine a sequence. 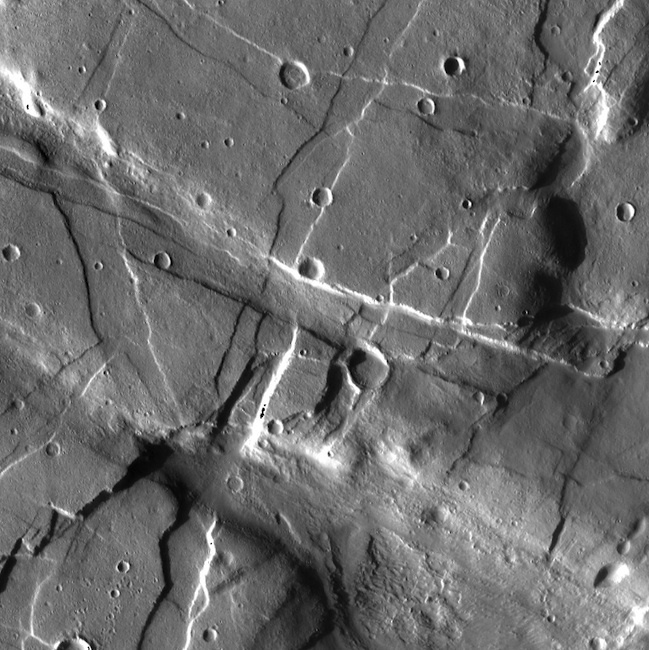 Several graben sets may occur in areas where tectonic stresses have changed direction more than once.